Remember the 25years in the making model of Kings Cross rail? I thought it would be fun to take some of the detail and visit those spots to see how they look now. 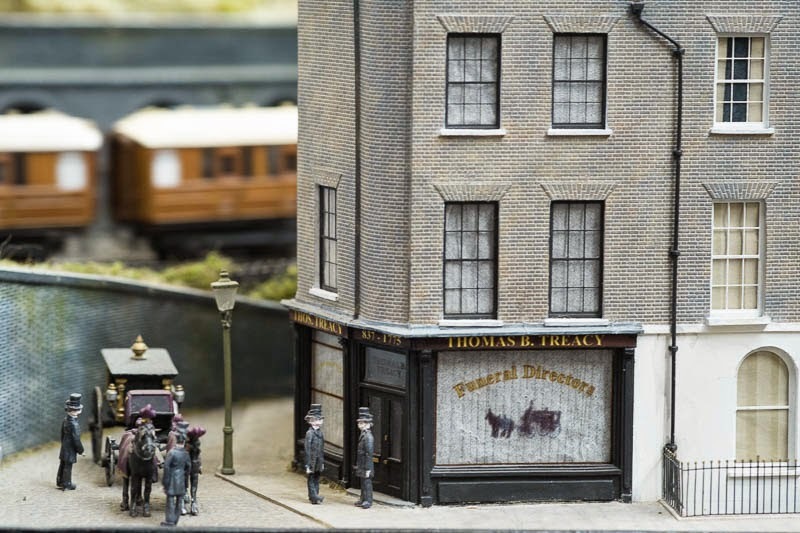 This was the funeral directors as the model maker created after detailed research. Every piece created was measured and faithfully reproduced just as it would have looked in the 1930's. Come back tomorrow and see how this corner looks in 2014. That looks fun - it's probably a 'private' shop or something now! What a great idea. I will pop in tomorrow to see how it looks here today. It's a great model. I can't wait to see the real thing. What beautiful details in this model! You have a clever plan, Mo. I will be back.